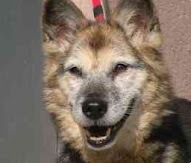 Before I started bringing my old dog to my veterinarian, I was concerned that the vets would use a lot of medical jargon that I couldn't understand. 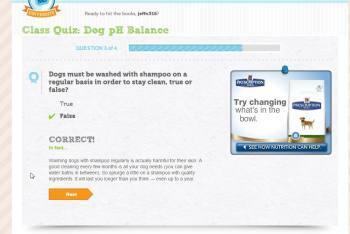 Luckily, they helped me understand everything I need to know in order to make the best decisions I can about my dog's health in terms that I could understand. If I had access to PetMD University back then, I would have been more self assured that I'd understand the lingo, as well as how to best describe the symptoms so in order to facilitate the best health care possible. 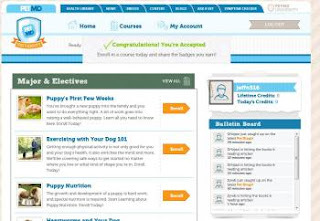 PetMD University (PetMDU for short) is an online learning environment which allows users to take online courses related to companion animal health and behavioral topics. 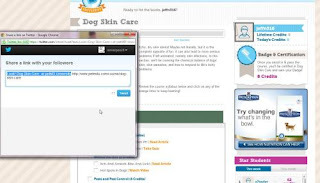 For this review I took the Dog Skin Care course, since it was something that I had some experience with having had a dog with some severe skin issues for part of his life. The courses are free and sign-in was extremely easy. You can can choose from among the 15 courses available across both dog and cat topics and save progress at any time. This allows you to come back and complete the courses at your own pace. The Dog Skin Health course took me about an hour from start to finish, but I could see where others might take 15 more minutes to complete if they read all of the reference material provided. I had no expectation for what to expect from a free course, so I was pleasantly surprised that each content section (either a series of articles or videos) was relayed by a veterinarian. The good news is, much like my own vets, the teachers of this course make no assumption as to the skill level of the audience. Even the most technical terms have very easy to follow descriptions provided. For example: Did you know that pruritus defines a dog's proclivity to scratch? I sure didn't before taking this course. The course is set up in such a way that you have the opportunity to share your experience with your friends on a variety of social media sites, including Facebook and Twitter. In addition, you can also share your favorite content with your Google+ friends, although you cannot share your test results here. After each section and at the end you have the opportunity to test your knowledge in the form of multiple choice quizzes. If you've carefully read through the content, expect to get a high mark, however, they aren't easy. When you've successfully made your way through an entire course, you're graded and provided with a certificate, as well as the opportunity to once again share your success on Facebook and Twitter. The site does have ads, but I was happy to see that they don't get in the way of the course content. I'll be looking closer at more of the courses and hope to provide you with additional reviews on this site in the months to come. Check it out for yourself when you get a chance and let me know what you think. Myself and a number of other pet bloggers will be available to answer questions at the PetMD U #blogpawschat on Twitter (yep, you'll need to use that hash tag along with #petmdu) when we meet on May 14th from 8 to 10 PM Eastern time.